Located at First Street and First Avenue N., the new tower is attracting residents with its prime location near the downtown waterfront and its many restaurants and shops. Other nearby offerings, including the Salvador and Bliss condo towers, are also enjoying strong presales. 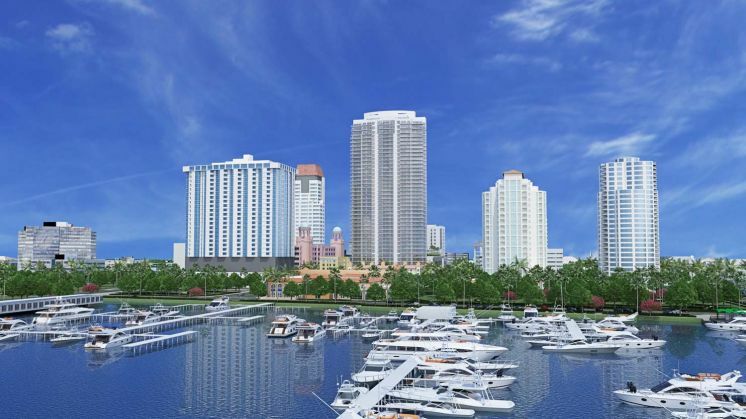 As this article shows, condominium development in areas outside of South Florida has joined the pace of what we’ve seen in the South Florida market. Below is an artist rendering of the new towers flanked by two neighboring buildings, and the complete article can be found by clicking here.